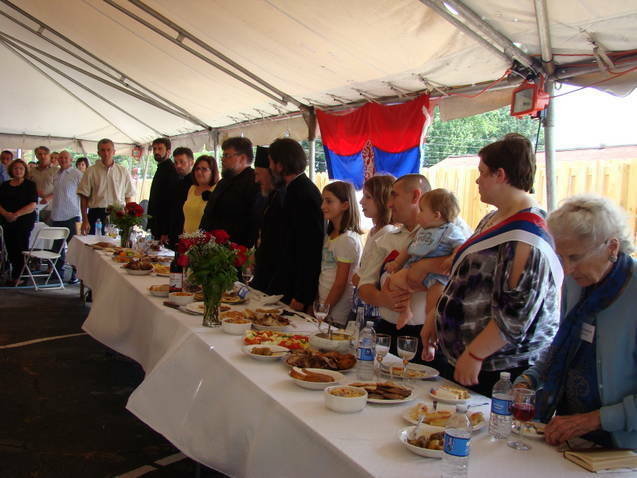 Atlanta, GA - The Serbian Orthodox Church in Atlanta celebrated their Church Slava together with all parishioners and their parish priest Fr. 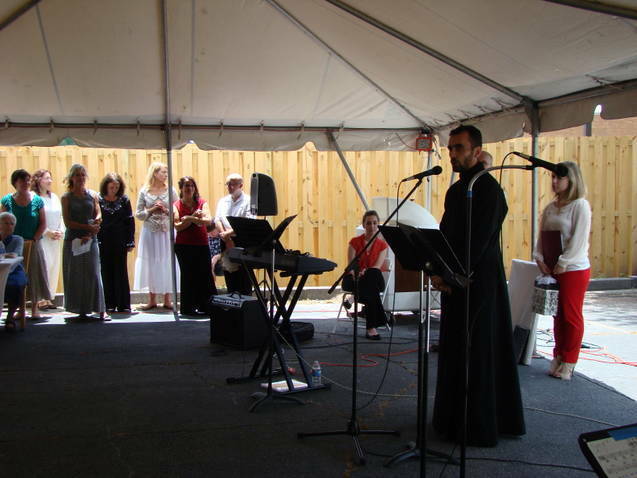 Miladin Blagojevic with an added joy as this parish, as of June 28th, became the owner of new church property, which will be used for the construction of a new church. 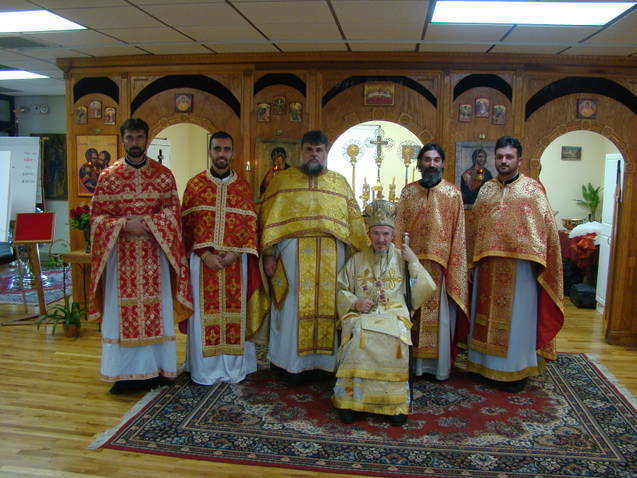 We owe special gratitude to His Grace Bishop Mitrophan, who visited us and who took part in the Vespers service on Saturday July 14th and officiated at the Holy Hierarchical Divine Liturgy on Sunday July 15th. Other clergy in attendance were: V. Rev. Stevan Zeremba from St. Petersburg, V. Rev. Dragan Zaric from Charlotte, Rev. 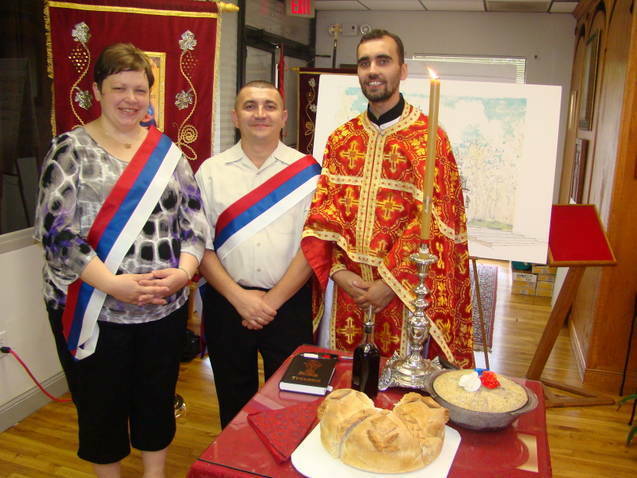 Dragoslav Kosic from Greensboro and Rev. Stanislav Kravljača from Jacksonville. They enriched the evening service on Saturday with their beautiful voices and made a wonderful atmosphere of spirituality and beauty of Orthodox worship. 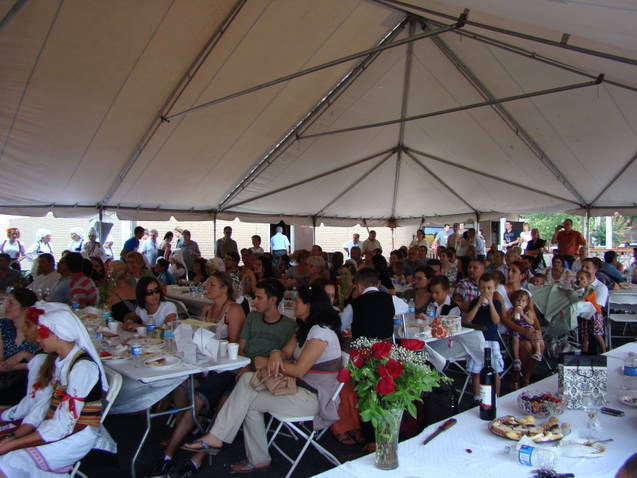 After the evening service, the dinner was served which followed with fellowship. Of particular note is that on Saturday the second annual St. Peter and Paul soccer tournament took place, organized by the soccer club, "Obilic" from Atlanta. 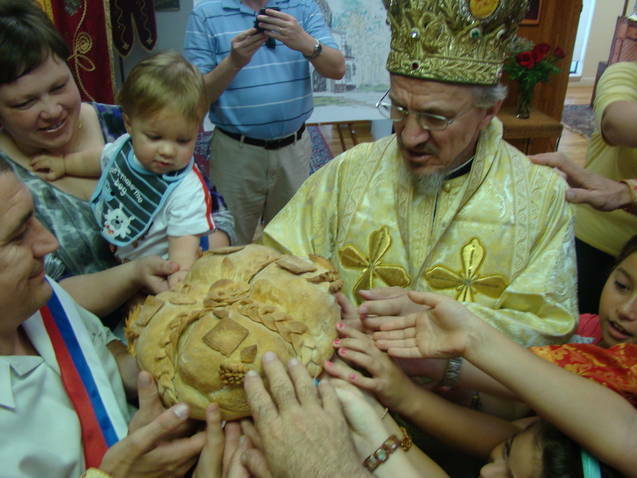 After the Divine Liturgy on Sunday Bishop Mitrophan, with the concelebration of all visiting priests and in the presence of all the little children, cut the Slava Kolach and blessed the Koljivo. Kumovi were the prominent young parishioners Jelena and Rodoljub Sobo, with their son Novak. May God bless them and grant them health and happiness! 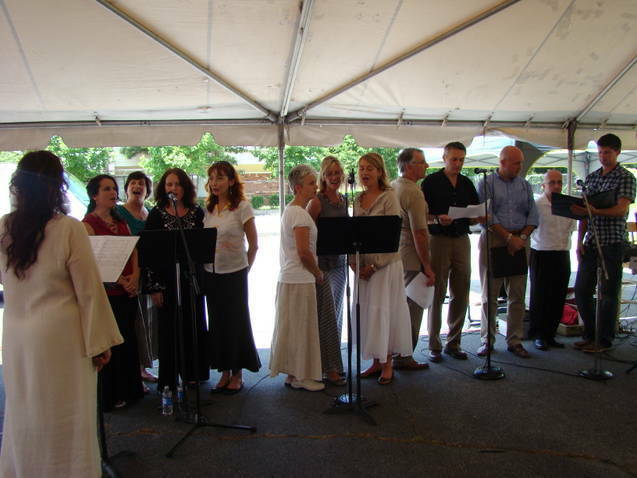 After lunch, which was prepared by the Circle of Serbian sisters and members of the church board for all attendees (over 250,) a special cultural program was prepared and performed by our guests and hosts. Guests included members of the Cultural and Artistic Association "Serbian Pearls" from St. Petersburg who performed the most beautiful folk dances from all Serbian lands. 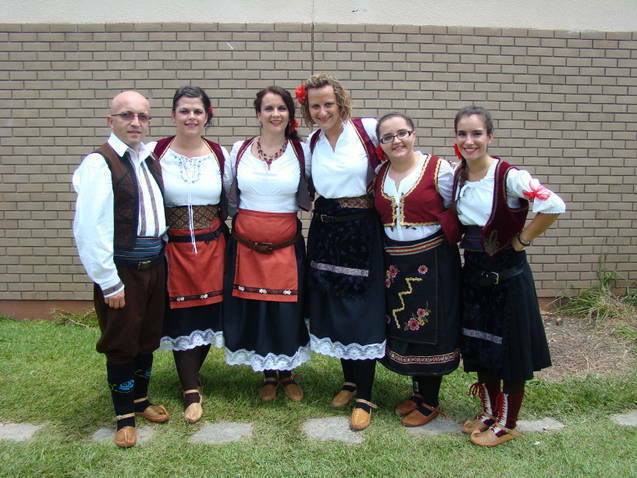 The hosts welcomed their guests, among which was an Ethno-group who performed the original old Serbian songs, and a folklore group who danced a combination of Serbian folk dances very nicely and successfully. The entire program was accompanied by standing ovations, and enthusiastic congratulations for the performers and the hard-working people who were in charge of preparing them. Sincere gratitude to all those present who had the pleasure to watch and listen to the performers. The attendees were addressed by the Bishop who thanked the hosts for their hospitality and congratulated them on the purchase of the wonderful new property and expressed his desire for us to build the church on this land in the near future. The guests were addressed by a young Tanja Bilaković who was head of the program and on this occasion gave the icon of the Holy Mother of God as a gift to our church, which she herself painted. On behalf of the building fund, parishioner Mrs. Vera Watkins welcomed our guests and stressed the importance of collecting donations for the construction of our future church. Many of the attendees gave their contribution immediately. We thank all of them. Grain by grain, dollar for dollar, with God's help and good will we shall build the Church to the glory of God and for generations to come.